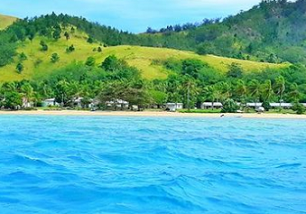 Newsroom's investigations editor Melanie Reid has been pursuing the environmental desecration of a Fijian island by a Chinese developer, Freesoul Real Estate, since late last year. Last week Reid, Newsroom co-editor Mark Jennings and cameraman Hayden Aull, visited the island of Malolo to seek answers from neighbours and Freesoul. Click on the link below to read the full article.